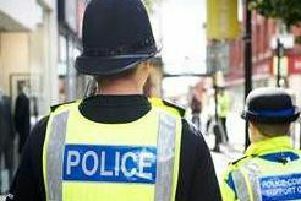 Residents in the Ribble Valley are being invited to have their say on community safety. The Ribble Valley Community Safety Partnership has launched an eight-week consultation to discover residents’ views on crime and disorder and guide its future work and continue with the borough’s title of being the safest place in Lancashire and one of the safest in the UK. The partnership was tasked with reducing crime in Ribble Valley by 13.5 per cent in 2005. There are around 28 crimes recorded annually for every 1,000 residents which is significantly below the national average. The survey contains questions on a range of community safety issues, such as anti-social behaviour, under-age drinking, dog fouling, noisy neighbours and speeding vehicles, and the results will be used to influence how the partnership works in the coming years. Robert Thompson, the partnership’s chairman, said: “The results of the survey will help us understand the concerns that residents have about community safety. “They will be used to inform the types of actions taken to improve community safety and the quality of life for everyone in the borough. Lancashire County Council, Lancashire Police and Lancashire Fire and Rescue Service, is responsible for developing a crime and disorder reduction strategy for the borough outlining key priorities and a detailed action plan. The consultation will run until Sunday, September 21st, and the survey is available at ribblevalley.gov.uk or by phoning Ribble Valley Borough Council on 01200 425111.